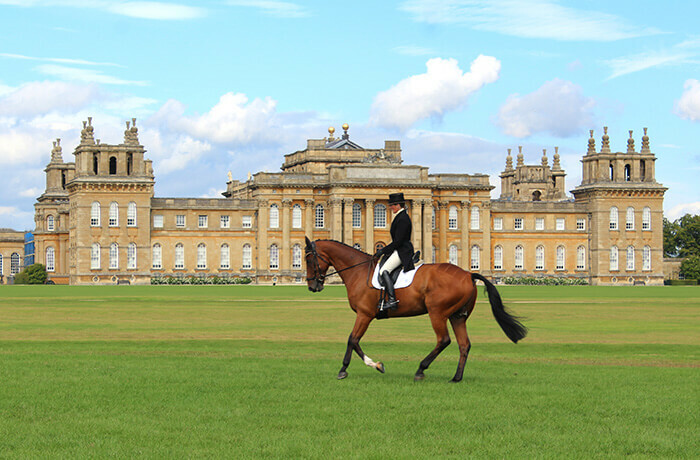 Every year, thousands of equine enthusiasts decend upon Blenheim Palace for the International Horse Trials. 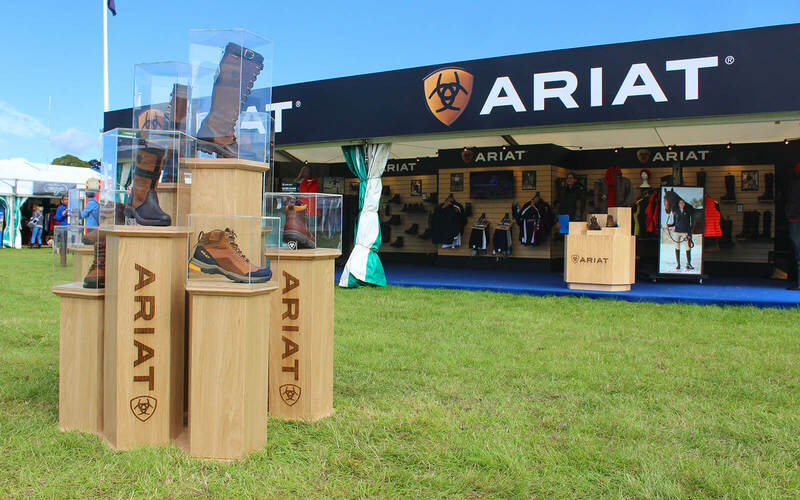 It is an opportunity for the brands to showcase forthcoming ranges and products. 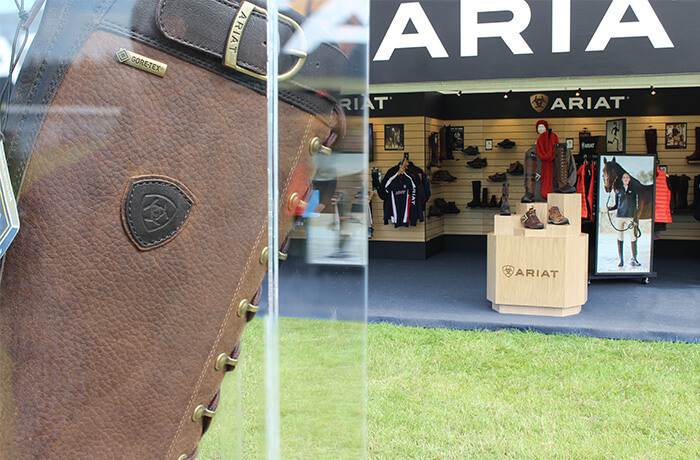 We recently began working with Ariat on raising their profile at retail and trade shows. 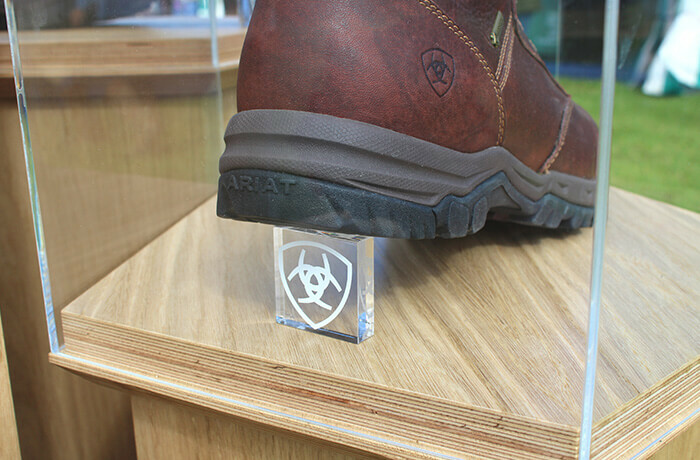 This display was made to coincide with their new country product range. 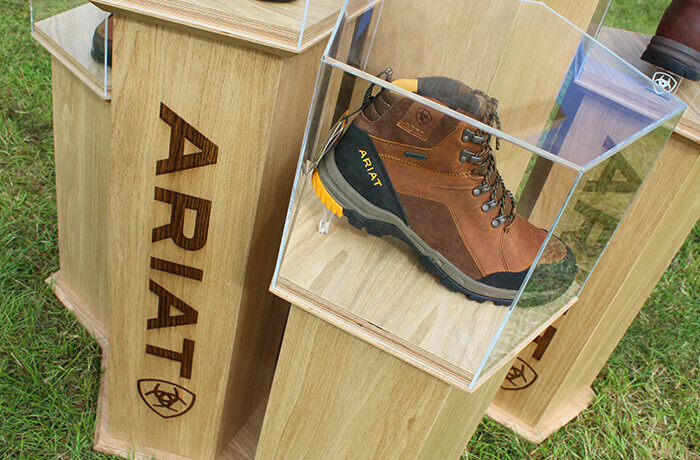 The main unit, situated away from the stand, takes its inspiration from pentagonal details on the soles of the new range. 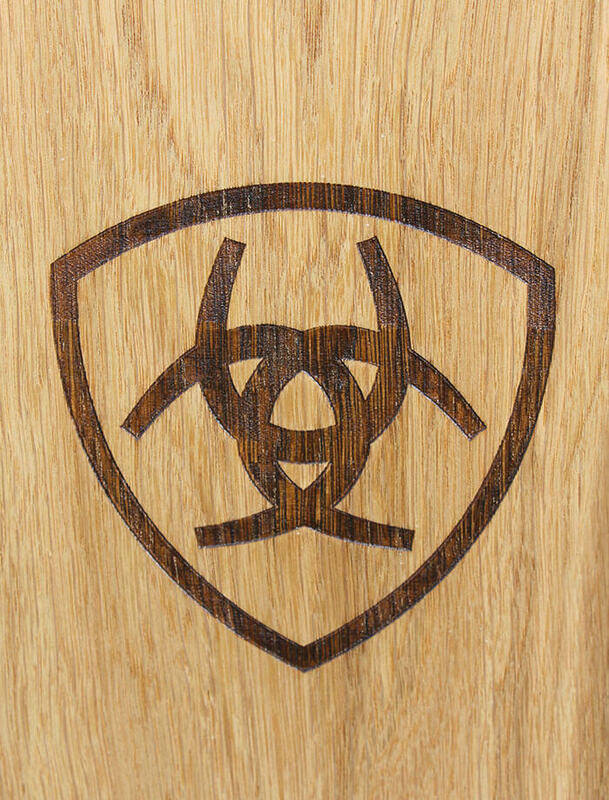 To contrast the geometric profiles, the podiums are crafted out of solid oak and finish at differing heights, to emulate a more organic, natural tree form. 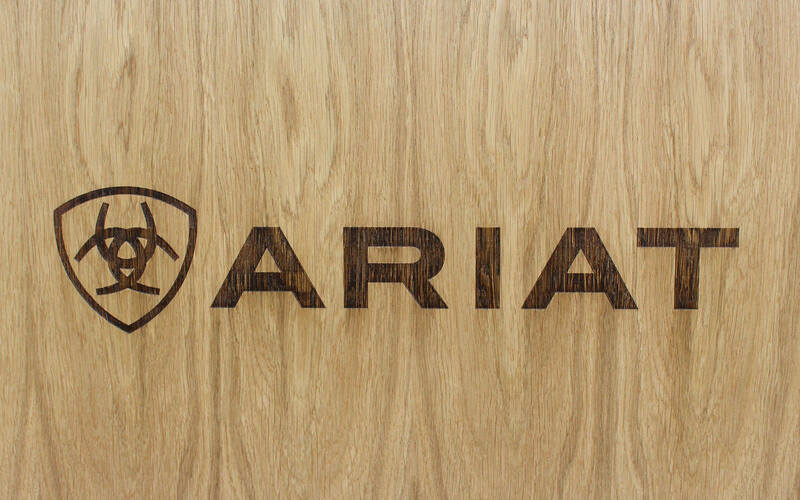 The podiums are finished with laser etched logo details and topped with display tanks, to allow the unit to be exposed to the elements. 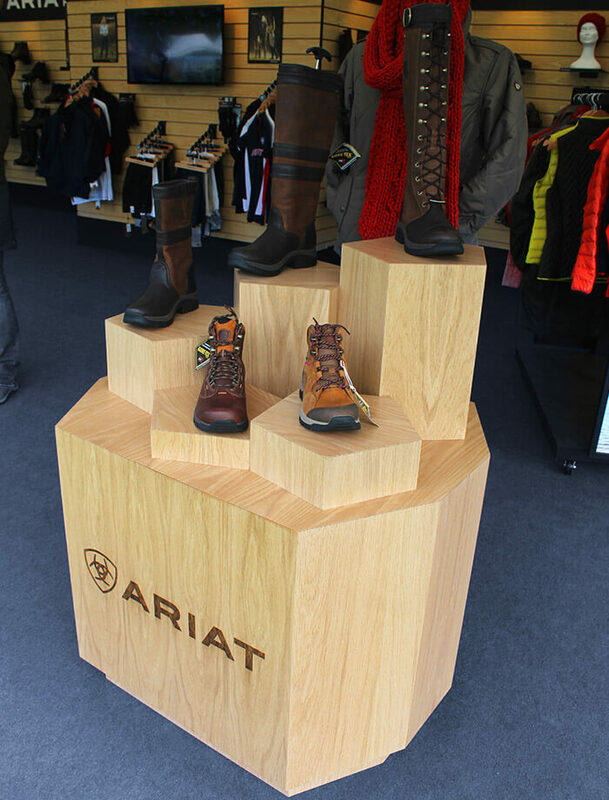 Within the main stand is a smaller display, constructed in much the same way, with the products accessible to consumers.